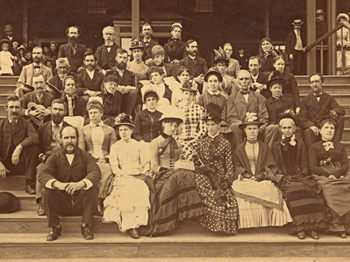 Mrs. Longyear (center) on a trip to Londonderry, Vermont, during the period of her research on Mary Baker Eddy’s husband, Asa Gilbert Eddy. She is shown here with a childhood acquaintance of Gilbert’s (left) and a genealogist (right). Longyear Museum collection. After discovering that documents and artifacts from Mary Baker Eddy’s life were beginning to disappear, Mrs. Longyear made it her life’s work to find and preserve these important historic witnesses. Thanks to her efforts and the museum she founded, the thousands of letters, objects, and eight of Mrs. Eddy’s former residences that were saved will help tell Mrs. Eddy’s story to future generations. In 1915, Mrs. Mary Beecher Longyear had only just begun collecting and preserving information on the life of Mary Baker Eddy and the pioneering activity of Christian Science when an interesting opportunity presented itself. At this time, important firsthand evidence of the history of Christian Science was already in jeopardy. Old letters and documents were being disposed of, landmarks were falling into neglect or being sold, and people’s recollections were fading. Many eyewitnesses to this history — including Laura Sargent, William B. Johnson, and Joseph Eastaman — had by this time passed on. Also, some of the houses in which Mrs. Eddy and her students had lived were becoming disfigured, being relocated, or torn down. 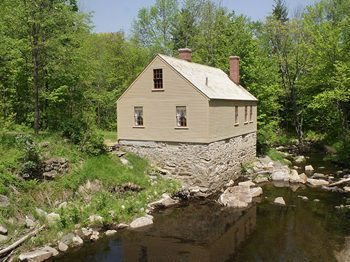 All that remained of the Baker homestead — Mrs. Eddy’s birthplace in Bow, New Hampshire — were some of the original foundation stones. Asa Gilbert Eddy, circa 1880. Longyear Museum collection. That year, 1915, Mrs. Longyear took the opportunity to preserve the history associated with the man who had come to have a special place in Mrs. Eddy’s heart — her husband, Asa Gilbert Eddy. After consulting historians of Mrs. Eddy’s life, she visited the town where Gilbert1 was born, Londonderry, Vermont. There she succeeded in locating the former Eddy farm house, built by Gilbert’s grandfather, and was hoping to recover Eddy family documents stored there. But she was too late. The man who had purchased the property some years earlier had disposed of its furnishings. All the Eddy family papers had been destroyed. 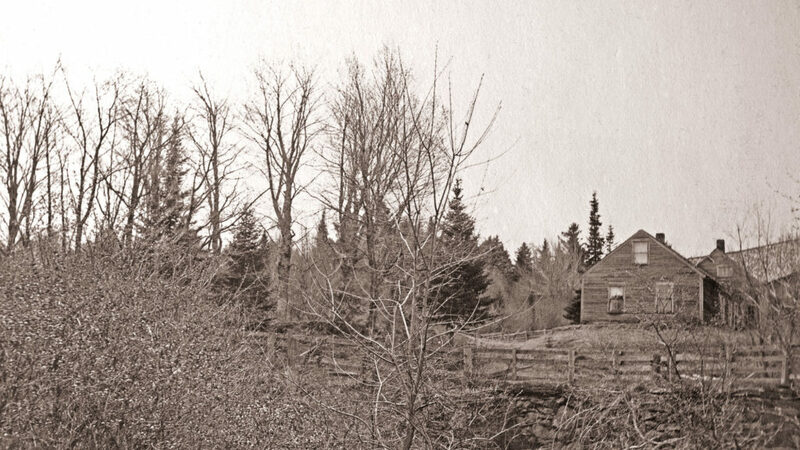 This story, told in a monograph by Mrs. Longyear titled The Genealogy and Life of Asa Gilbert Eddy and published in 1922, reveals the critical lesson she took to heart from this experience: in historic preservation, timing is crucial. If the preservationist does not act in a timely way, historical evidence may be lost forever. If the evidence of Gilbert Eddy could be lost so quickly, Mrs. Longyear concluded, then the work of preserving the history of Christian Science must begin promptly and in earnest. Thus was launched a rescue mission which, in the space of less than twenty years, would salvage landmark houses, preserve documents and artifacts, solicit memoirs, commission portraits of early workers, and plan a museum to make this collection available for future generations. There was just one minor problem: Mrs. Longyear knew almost nothing about historic preservation. But this former teacher and educator did understand the importance of historical evidence. The result was that her preservation work evolved through her step-by-step approach to learning. You might say, Mrs. Longyear’s methodology unfolded according to the need of the moment. 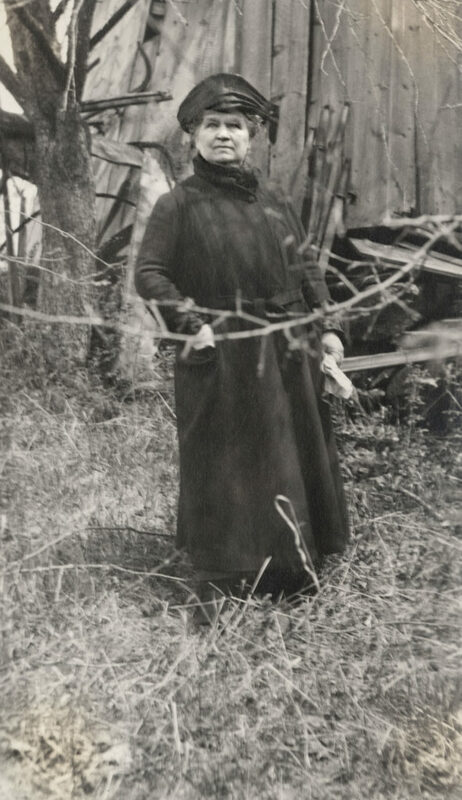 Mrs. Longyear in North Groton, New Hampshire, 1921. Longyear Museum collection. To explore and understand questions about our past, it is essential that historians be able to consult evidence from the past. To make that possible, such evidence must be preserved. That was the mission Mrs. Longyear set for herself as she embarked on her quest for documents and artifacts from the life and work of Mary Baker Eddy, and of those who were closely associated with her. In exploring the life of Gilbert Eddy, undaunted by the fact she was not able to save his family’s documents, Mary Longyear gathered all the firsthand factual evidence she could find — evidence that would help to answer the historian’s fundamental question, Who was Asa Gilbert Eddy? 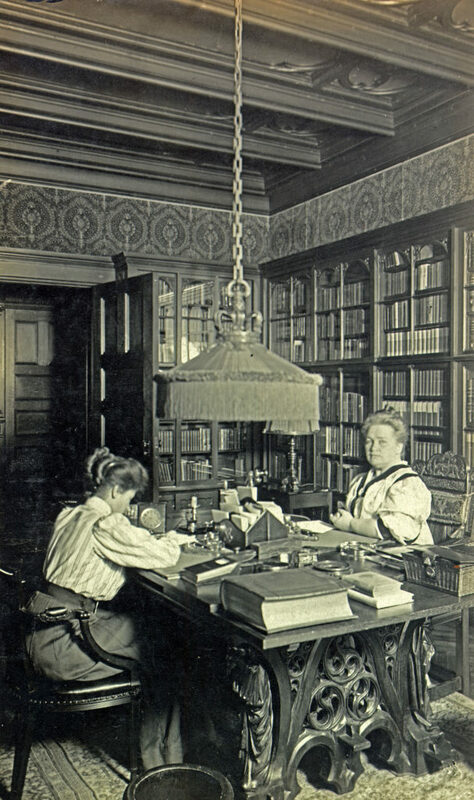 Mrs. Longyear and her secretary working in the library of the Longyear home. Longyear Museum collection. 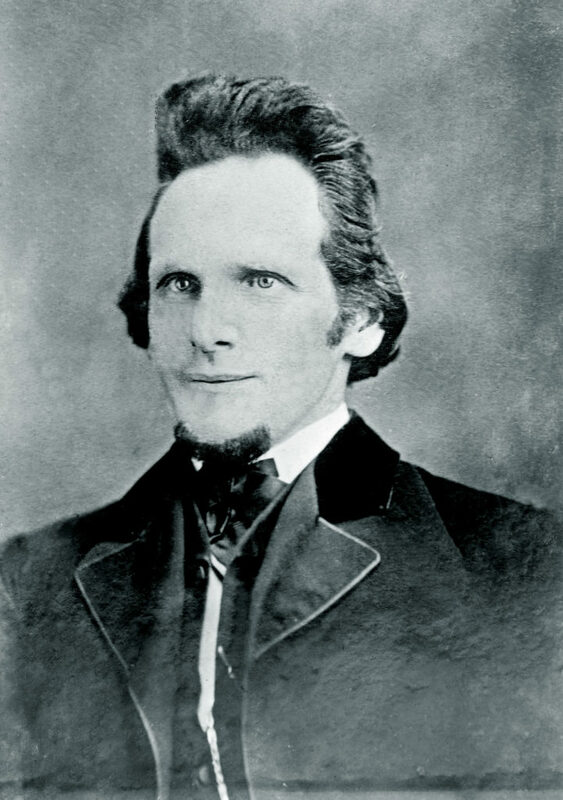 As she acquired evidence from Gilbert Eddy’s past, Mrs. Longyear sought out and gathered the recollections of people who had known him as Mary Baker Eddy’s husband and associate. She interviewed townspeople who had known the Eddy family, including a grammar school classmate of Gilbert who had memories of him that included vital information. Her diligent research did not exclude people who had fallen away from the Cause of Christian science, such as Clara Choate and Arthur True Buswell. Both had played important roles in the early days of the movement, and recorded vivid memories of the Eddys. She also retained an experienced genealogist to document Gilbert’s life in the Vermont farm community where he grew up, and to trace the Eddys’ roots back to the Eddy family in England. A photographer was employed by her to make a visual record of historic sites. The results of her research and findings were published in the monograph, The Genealogy and Life of Asa Gilbert Eddy. She gathered information about other pioneer Christian Scientists as well, including some of Mrs. Eddy’s other students, such as Janet Colman, Julia Bartlett, Mary Eastaman, and Ellen Clarke — four of the twelve original First Members who, some thirty years before, had helped reorganize The First Church of Christ, Scientist. She asked them to write recollections of their introduction to Christian Science and of their association with Mrs. Eddy. 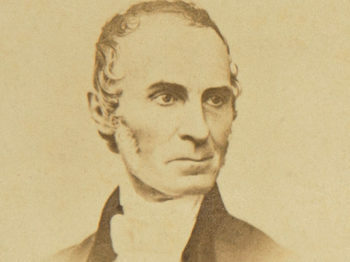 Mrs. Longyear also commissioned books on Christian Science history, including one by Putney Bancroft, a student from the 1870s in Lynn, and The History of the Christian Science Movement by William Lyman Johnson, whose father had been one of the original directors of The Mother Church. 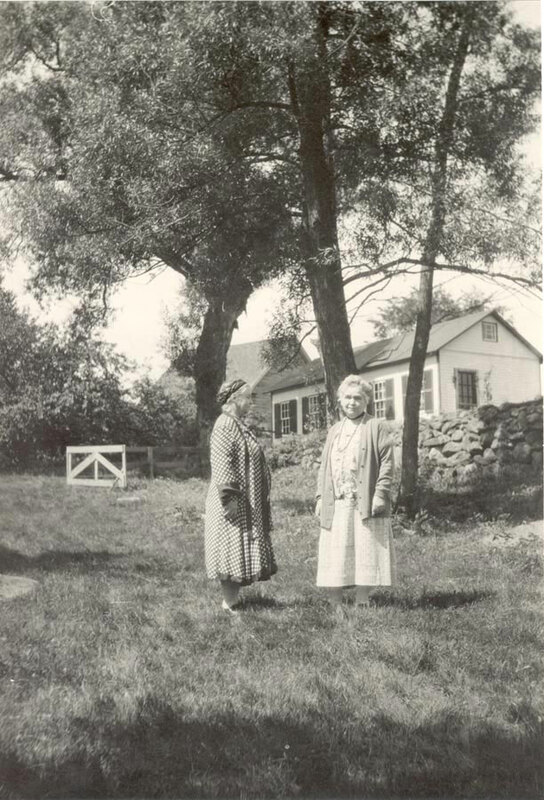 Mrs. Longyear (right) and her twin sister Abby on a trip to New Hampshire, 1927. Longyear Museum collection. Within two years of her decision to save artifacts associated with Mrs. Eddy’s life, she began her most ambitious project: identifying and acquiring houses where the Founder of Christian Science had lived and worked. 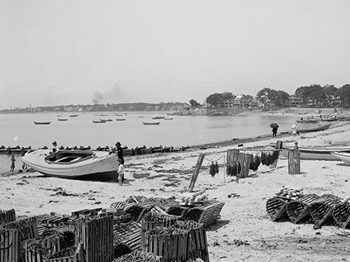 Before these houses could be saved, they had to be found, and so, in July of 1920, Mary Longyear went in search of these important landmarks. Traveling by automobile, she located several historic houses: the isolated country cottage in North Groton, New Hampshire, where Daniel and Mary Baker Patterson lived for five years; the house in Rumney, New Hampshire, where the Pattersons lived prior to their move to Massachusetts; the house on Paradise Road in Swampscott, Massachusetts, where, in 1866, Mrs. Patterson lay suffering from serious injuries after a fall in nearby Lynn, and where she remarkably recovered through prayer; Sarah Bagley’s house in Amesbury, Massachusetts, where the Discoverer of Christian Science twice found refuge and a place to teach; and, south of Boston in Stoughton, the Hiram Crafts and Alanson Wentworth houses, where Mrs. Eddy taught her earliest students and began writing about her discovery. In 1926 Mrs. Longyear established the Longyear Foundation, which, after her passing in 1931, would continue to acquire many way marks of Christian Science history. To that end, Mrs. Longyear conceived a museum that would hold her collection, present the collection to the public, and be a center for research into the history of Mary Baker Eddy and the Cause of Christian Science. Unable to fund the construction of the museum building she had imagined, Mrs. Longyear’s will provided that her mansion continue to serve as her museum. 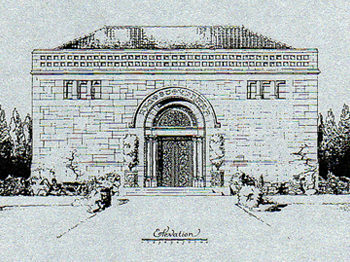 That mansion was the precursor to the present Longyear Museum in Chestnut Hill, which opened in 2001, thus fulfilling its founder’s original vision. Because of her foresight, another four historic sites have been added to the Museum’s collection over the years. 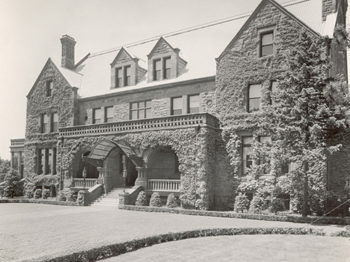 When the Wentworths’ former home, where Mrs. Eddy resided from late 1868 to early 1870, was offered as a gift in 1961, the institution Mrs. Longyear had created was here to receive it. 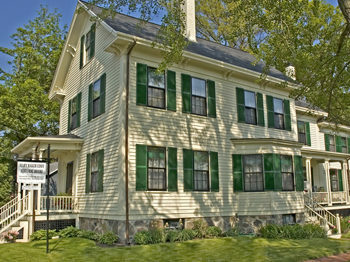 In 1985 the Museum received another house as a gift — 62 North State Street in Concord, New Hampshire, where Mrs. Eddy lived and worked during the pivotal years from 1889 to 1892. And in 2006 special donations to Longyear enabled the Museum to purchase two more significant landmarks: Mrs. Eddy’s former home on Broad Street in Lynn, Massachusetts, and her last home at 400 Beacon Street in Chestnut Hill, Massachusetts. These eight houses now in Longyear’s possession help to illumine for the visitor various stages of Mary Baker Eddy’s spiritual journey. As one crosses the threshold of each house, one is retracing the footsteps of the Discoverer of Christian Science. For generations to come, visiting these historic houses will help bring her story to life. Working toward this goal, the Museum is in the process of restoring the Lynn house to the way it looked when Mrs. Eddy lived there from 1875 to 1882. 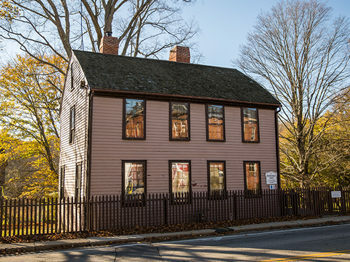 The essential purpose of the restoration is to let the house tell its story to visitors — a story of importance to New England, national, and international religious history. In this house, the first, second, and third editions of Science and Health were completed for publication. Here the Christian Scientist Association, the Church of Christ (Scientist), and the Massachusetts Metaphysical College were established. And here, with her marriage to Asa Gilbert Eddy, Mary B. Glover became known as Mary Baker Eddy. Similar objectives will guide the restoration plans for Mrs. Eddy’s last residence at 400 Beacon Street, Chestnut Hill, where she inaugurated The Christian Science Monitor. The house in North Groton, New Hampshire, as Mrs. Longyear found it before restoring to the original site and appearance Mrs. Eddy would have known when she lived there with her second husband, Daniel Patterson, from 1855-1860. Longyear Museum collection. Letters, records, artifacts, and buildings that attest to the progress of Christian Science and its Discoverer, help to recall historic events accurately — and especially the important lessons they teach. To remember the early days in the history of Christian Science is not just to reminisce, but to understand and appreciate anew what was required of Mary Baker Eddy and her early workers to bring Christian Science to humanity. 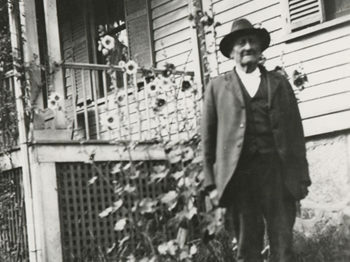 Nearly twenty years of Mary Longyear’s life were spent in this work of gathering and preserving houses, document, artifacts, and other materials that keep us mindful of those “days of old” — of the story of the Discoverer, Founder, and Leader of Christian Science and the early workers in the Christian Science movement. Mrs. Longyear on the front porch of 23 Paradise Road, Swampscott, Mass. Mr. and Mrs. Longyear ride in their car. Mrs. Longyear's car on the road during a trip to New Hampshire. 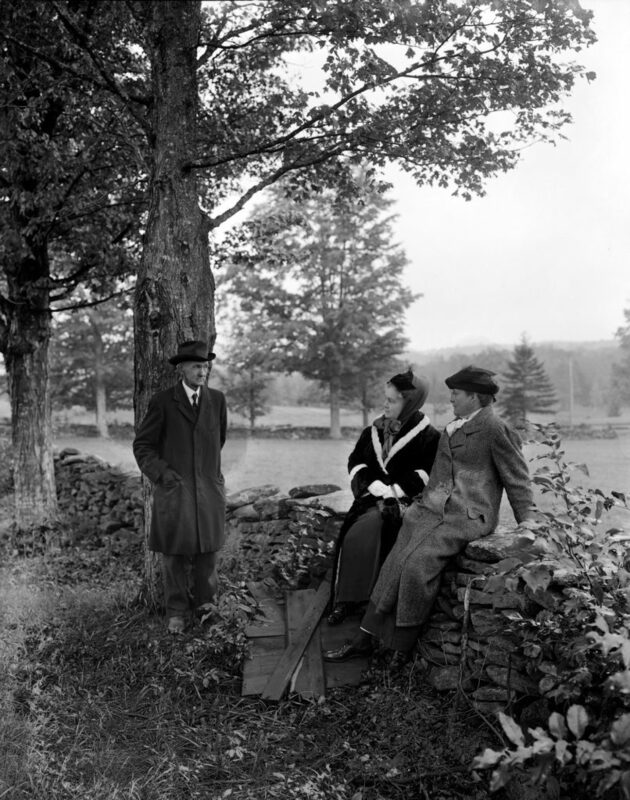 Mr. and Mrs. Longyear and companion at the site of the Baker farm. A remarkable fact is that no one taught Mrs. Longyear the importance of historical evidence or a methodology to follow. Unlike today, preservation at that time was predominantly an amateur activity, and there was not yet an established professional field of specialists to instruct or motivate her. But perhaps her training as an educator and teacher led her to see the importance of preserving a historic record. Whatever sparked her conviction, it is remarkable that at the time Mrs. Longyear was collecting this material in the early decades of the 20th century, the field of historic preservation had barely been born. George Washington’s home had been maintained for years by a committee known as the “Ladies of Mount Vernon.” Indeed, Mrs. Longyear visited Mt. Vernon and used it as a model for her own Longyear Historical Trust document. However, Colonial Williamsburg would not be started until 1926, and the United State National Archive would not be established until 1934. Old Sturbridge Village would open in 1938, and the American Association for State and Local History in 1940. The National Trust for Historic Preservation would wait until after World War II to be established, in 1949. Furthermore, at the time Mrs. Longyear was collecting, many of the things she wanted preserved, such as contemporary letters, reminiscences, records, artifacts, and ordinary-looking houses, were not considered historical by many people: they were regarded as too recent to belong to history. But she saw that if such materials were not preserved now, when they were new, by the time they were old enough to be considered historical, they would be gone. Observations such as the above place her at the forefront of those who had the vision to see that today’s memories, writings, and artifacts will be tomorrow’s history — but only if they are restored and preserved now. In so doing, Mary Beecher Longyear became one of the pioneers of the preservation movement. Following her lead, Longyear Museum continues to preserve evidence of this important religious history to inform future generations. Longyear Historical Diary #1, January 1, 1918, Longyear Museum collection, p.1. Longyear Historical Diary #5, January 3, 1923, p. 104. Robert D. Longyear, “Mary Beecher Longyear, A Memoir,” Longyear Museum Quarterly News, vol. 8, no. 4 (1971-1972), p. 127. Mary Beecher Longyear, The Genealogy and Life of Asa Gilbert Eddy (Boston: George E. Ellis Co., 1922), p. v.
Mary Beecher Longyear, The History of a House (Brookline: Longyear Foundation Press, 1925), p. 3. Longyear Foundation: Its Purpose and Unfoldment (Brookline, Mass. : Trustees of Longyear Foundation, 1966), p. 6. This article was originally published in the 2010 spring/summer Report to Members. Webster Lithgow is the Multimedia Producer/Director at Longyear Museum. He has previously written and directed five Longyear Museum historical documentaries, most recently The House on Broad Street (2013) and the short film “Upon Life’s Shore” (2013). This article first appeared in the Spring/Summer 2010 Longyear Museum Report to Members.